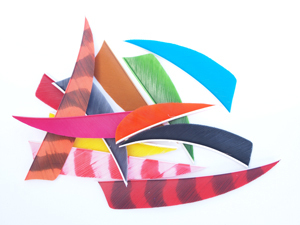 Everything you need to construct and maintain your own arrows, including arrow components, adhesives, tools etc. Port Orford Cedar from Rose City Archery in Oregon is renowned the world over as the first choice in wooden arrow shafts due to its stability and consistency. Made from fallen trees which have been seasoned by nature over centuries, these shafts are considered the finest archery wood available due to their strength, straight grain, elasticity and perfect physical weight to spine weight ratio. Sold in spine and weight matched dozens (2lbs/8 grains). Having visited Jerry Dishion and the team at Rose City Archery we can vouchsafe for the for the quality of these shafts and our stock. We buy direct from the Jerry to maintain the highest standards of grain and finish. We do not sell POC from any other manufacturer or supplier. Boyton Pine arrow shafts - These outstanding shafts are provided by the country’s leading shaft maker and exceptional bowyer, Chris Boyton. The same grade of Scots Pine used throughout the zenith of Victorian archery remains available to us, meticulously selected and crafted by Chris. With age these shafts will darken to a rich red, resonant with the period of Ford and Thompson. Currently available in 9/32” and 5/16”. 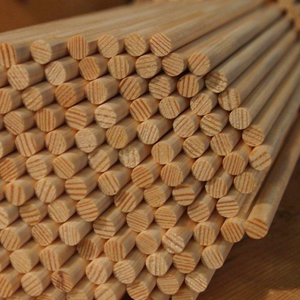 Smaller shafts of 1/4” are available on a limited basis as these can only be made from the tightest grained wood. Please contact Marc for details. Please contact us for availability of spine weights or matched sets. Bohning's 'Classic' nock incorporates an indexer for quick and easy alignment, and provides a deep soft-snap onto the string. The "Classic" is the nock of choice for Traditional archers, and are suited for wooden shafts with a standard nock taper. Available in 2 sizes: 11/32" (13 grains) and 5/16" (10 grains). Sold in dozens. 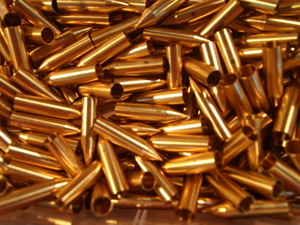 5/16” and 11/32" Brass bullet points/piles. Engineered in England with precision. Parallel and tapered fit for wooden arrows. Available in 63gn(5/16” only) 80, 100 and 125 grain. Sold in sets of a dozen. Size: 63gn - 5/16" 80gn - 5/16" 80gn - 11/32" 100gn - 5/16" 100gn - 11/32" 125gn - 5/16" 125gn - 11/32"
Top quality turkey feathers by Trueflight and Bearpaw. We have both left and right wing feathers in various colours. These can be used by either left or right handed archers, but obviously not mixed within any one arrow set. 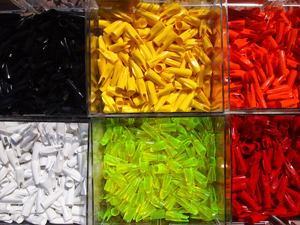 The dropdowns below suggest a range for selection however availability of colour and size may vary dependent supply and demand. We will contact you with all alternatives if we are unable to provide immediately your first choice Please contact us if you require something different to what is listed. A handy, easy to use tool. Available in two sizes - 5/16 and 11/32. 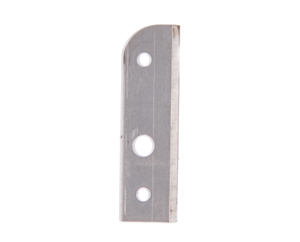 Spare blades for the standard and the delux taper tool. A high-precision taper tool for wooden arrows. 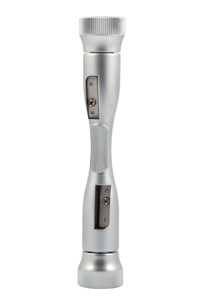 It is made of Zinc and is ergonomically formed. 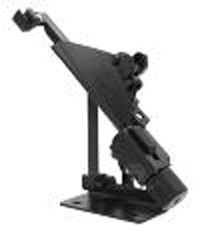 It produces accurate angles for nocks and points. It includes 3 interchangeable guides - 5/16.11/32 and 23/64. A very popular tool. Built to German high standards for accuracy. A high quality metal base. Easy to change settings for 3, 4 or 6 fletchings. By means of an additional base plate, the delux jig can be extended into a multijig system. The Bearpaw Delux Fletching Jig is suitable for individual and club level usage. A spare straight clamp for the Bearpaw delux fletching jig. Helical clamps for the Bearpaw delux fletching jig. 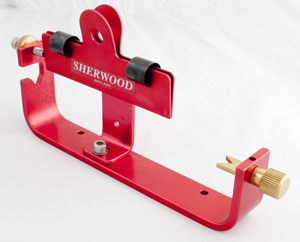 Sherwood Magnetic Fletching Jig - 4"
Made by the UK owned and based manufacturer Sherwood Archery. Quick and easy to use. 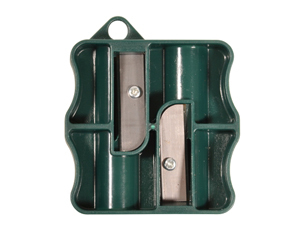 Sherwood Magnetic Fletching Jig - 6"
Battery operated grain scale for accurate measuring of points, shafts and complete arrows. Measures in grains, grams and ounces. Weighs up to 100g in increments of 0.1g. 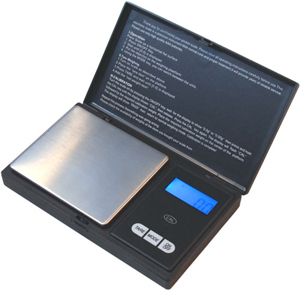 A compact size - 13.7 x 8.1 x 2cm (5.4" x 3.2" x 0.8").Back lit LCD display for easy reading. Batteries included. The next generation of Fletch-tite. It works on all shafts to provide an extremely tough, durable bond. It remains flexible and is water repellent. Platinum provides an incredible bond with wood and carbon shafts. 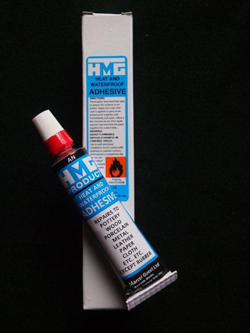 HMG Heat and waterproof adhesive. Works well with wood shafts and fletchings, as well as other materials. At The Longbow Emporium , we use Araldite standard glue for glueing our arrow points to wood shafts. 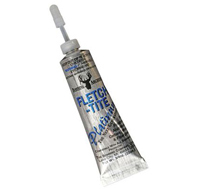 We recommend the standard version of this popular glue to create a VERY strong bond between wood and metal. Perfect for glueing points onto shafts or horn inserts into self-nocks. 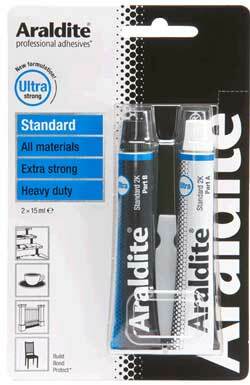 Araldite® Standard is a strong 2-component epoxy with long working time. Parts repositionable for 80 minutes. Oil, chemical and impact resistant. High temperature resistance (-30°C to 65°C). Withstands rough handling. Each blister contains one tube of adhesive and one tube of hardener. 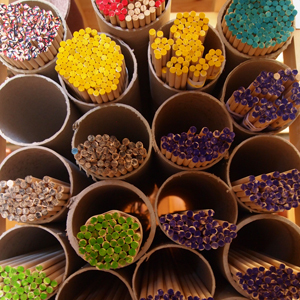 Mix equal proportions of each tube thoroughly and it is ready to apply. Two tube pack. Size: 15ml (Each Tube).